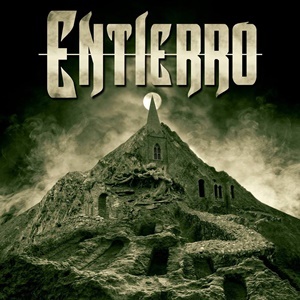 A collective four-piece from Connecticut, Entierro contains a couple of significant players with street credibility across the metal scene. Guitarist Victor Arduini made a name for himself in the early Fates Warning era, while vocalist/bassist Christopher Taylor Beaudette is a part of Jasta and Kingdom of Sorrow. After issuing a couple of EP’s during their brief time together, the array of experience bodes well for this self-titled full-length. These eight songs navigate through a classic metal template that contains doom, traditional and even thrash aspects to punch and prod as the best underground/street level acts develop into a sound as much their own as possible. The tones and riffs throughout cut to the heart of true principles for the genre – touching that deep soulful grit that makes Black Sabbath and Type O Negative special, while pushing the purity of say twin-guitar NWOBHM, Metallica when riding their mid-tempo grooves or Trouble. It’s instantly recognizable when taking in super-catchy material like “Live to Tell” and “Santa Muerte” that aural connection when proper hypnotic vocal melodies and musical sweet spots combine to tickle those hair follicles and make bodies perk up to stand on edge. Victor along with second axe man Christopher Bengal lay down this wall of rhythms and complimentary point/counterpoint enhancement, volleying between somber heaviness and reflective European-style finesse during “Dybbuk”, the semi-speed up during the final minute giving the arrangement another supercharge. The modern aspect comes in probably through the Dexter’s Lab production under the helm of Nick Bellmore (Toxic Holocaust, Dee Snider) – allowing the listener to fixate on the older musical ethics but not feel that the material has too dated of a sonic approach. Those not aware of Christopher’s dynamic delivery behind the microphone, well prepare to be floored as the man summons the best of Glenn Danzig and Eric Wagner, while also pumping out some superior bass lines. Check out the “Valley of Deceit” for both aspects of his abilities – separating Entierro from just a typical doom/stoner style band. Quickly gaining a name for themselves around New England when they play out, Entierro is another group to add to that list of bands who possess the passion, musicianship, and intuitive songwriting skills to go places.